While the format may have expanded to a festival from a fair, one thing is still the same — University Press of Kentucky (UPK) and University of Kentucky authors and editors will fill Alltech Arena at the Kentucky Book Fair Nov. 17. For the first time, a full week of readings, luncheons, cocktail parties, trivia and panel discussions were presented leading up to the book fair as part of the inaugural Kentucky Book Festival, including a young adult literature panel held on the UK campus featuring one of the university’s own students. 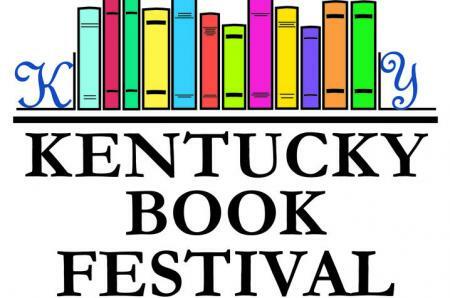 The week of literary events will culminate this weekend at the 37th Kentucky Book Fair 9 a.m.-4 p.m. Saturday, Nov. 17, at the Alltech Arena at the Kentucky Horse Park. The book fair is open to the public and admission and parking are free. Presented by Kentucky Humanities, the Kentucky Book Fair attracts thousands of readers from across the country. There is a wide selection of books available for purchase, ranging from young adult fiction and children's books to poetry collections and nonfiction works. Founded in 1981, the fair is the state's leading literary event and the largest and oldest event of its kind in the state. In addition, UPK author Doug Brunk will be on hand to sign "Forty Minutes to Glory: Inside the Kentucky Wildcats' 1978 Championship Season” on one of the university’s storied basketball teams. alumna Kayla Rae Whitaker, the author of "The Animators." And one more UK connection is the writer behind "The Last Resort: Journal of a Salt River Camp 1942-43." The journal featured in the work was penned by UK alumnus John C. Goodlett, a noted botanist, plant geographer and teacher who died in 1967. The journal was edited for publication by Sallie Showalter.